We had a really productive day yesterday. The Mousaka went in the slow cooker early doors and then we set about cutting out over 700 pieces for the album packs ahead of our retreat in a couple of weeks. I hope the ones we did after lunch and a bottle of prosecco have all the right bits in them. We'll find out on 22nd!!!! With Valentines Day nearly upon us G45 are sharing some Valentine inspired Design team projects this week. Todays projects have been made by Alberto, Rhea and myself. Click here to go over and take a look. 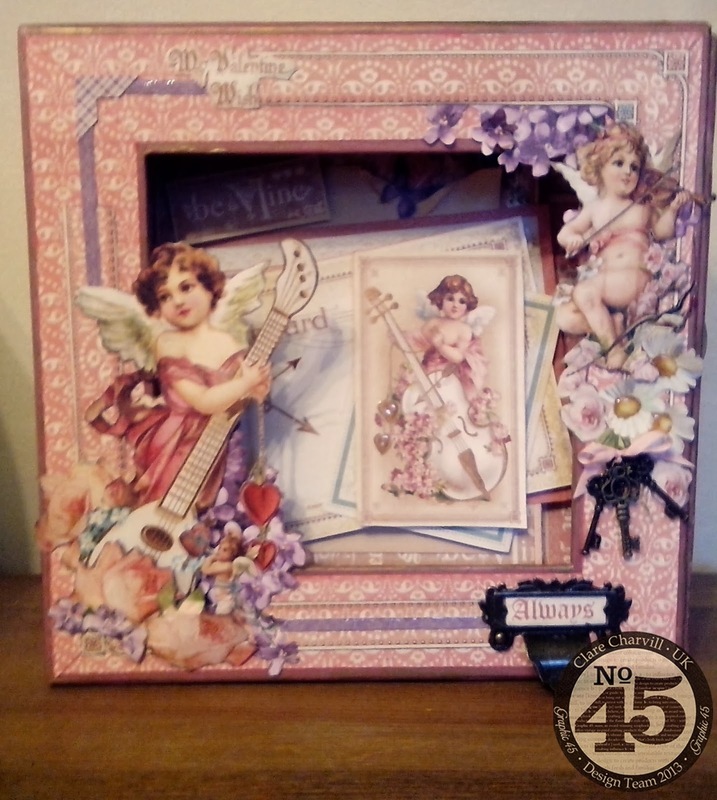 Mine is an altered Matchbook box and Easel card, and was made for the G45 booth at CHA last month. 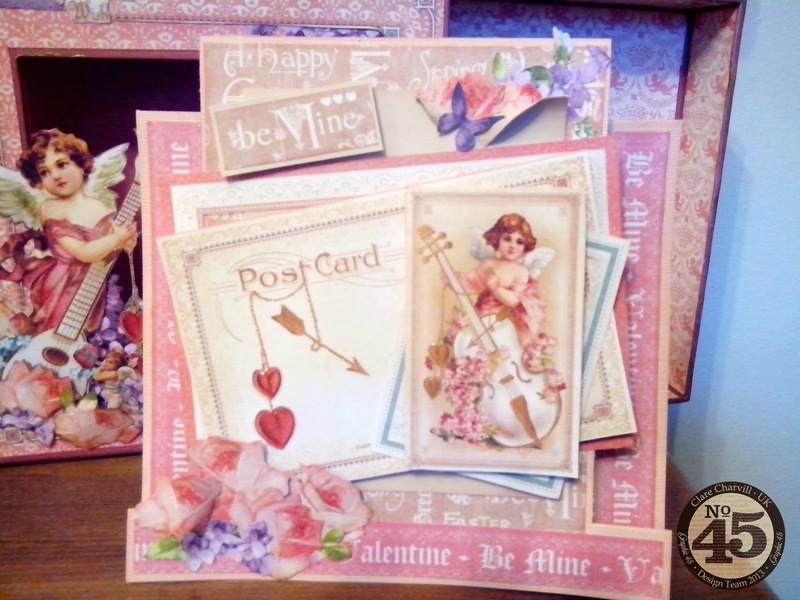 Decorated with the pretty papers and vintage images from the Sweet Sentiment papers it has a real 1920's valentine feel to it. This is such a pretty collection to design with. 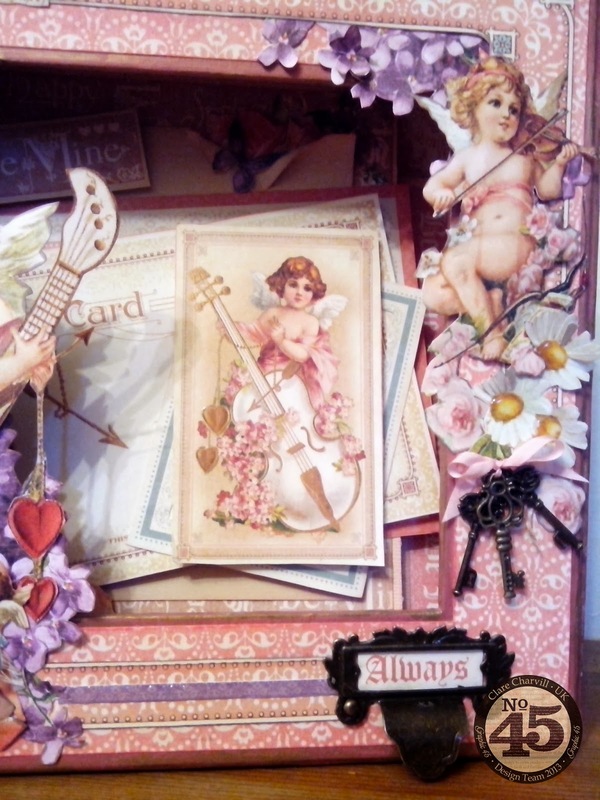 I've got three days to film a new Couture Album on line workshop then ''m back at Pink Tulip on Saturday to host an altered art workshop, and then I'll be joining the Jones Crafts team at Stitches (Trade Show) NEC, Birmingham on Sunday, Monday and Tuesday. If you're coming along to the show do call by stand L26 and say hi. We'd love to see you. We have a make and take session running on the hour over the three days so if you fancy cutting into some gorgeous G45 papers, and trying out the new Kaiserfusion alcohol pens call by the stand early and book yourself in. Hi Clare, beautiful projects as always. 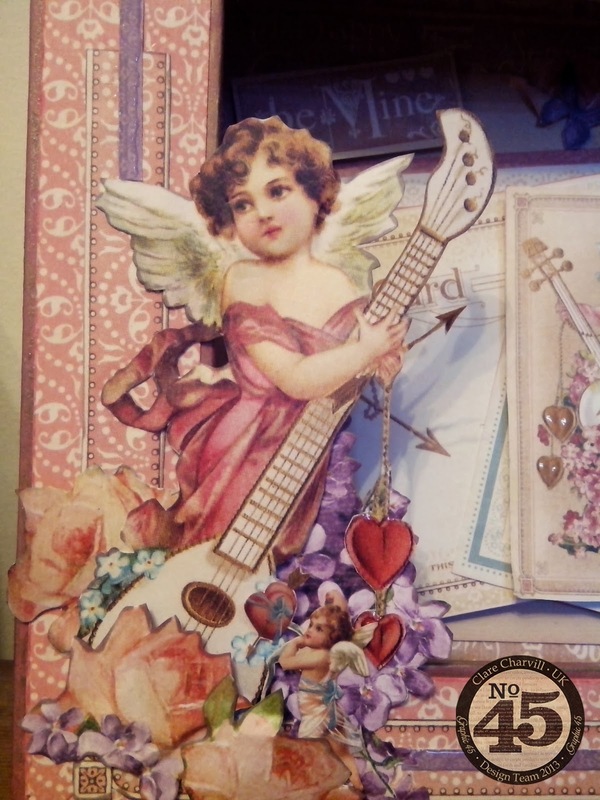 I got to see the Sweet Sentiments papers last weekend and can't wait to get them. Sounds like you are one busy lady! Take care. Morning Clare, You so make me chuckle with your write-up, I could just imagine the scene 'before' and 'after' the Prosecco haha, enjoy !!!!! I have just seen this magnificent project over on the G45 Blog. 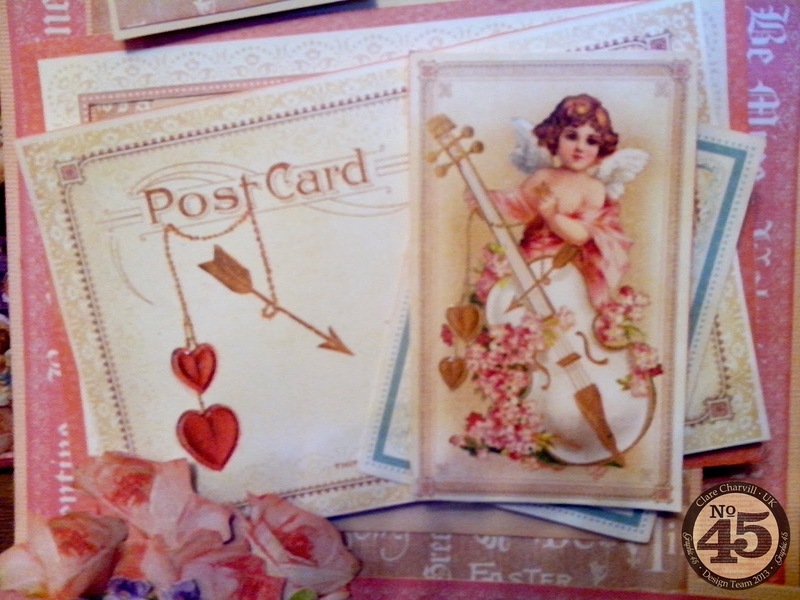 The Sweet Sentiment collection is really beautiful and you have showcased all that beauty in your fabulous project, I loveit ! !